You may be thinking, "Oh good. Another typical hybrid to read about. Yawn." Well, yes, but no. Yes on reading a review on another hybrid vehicle, but definitely no on the yawn part. The 2013 Chevrolet Volt plug-in hybrid is not a boring car. This car makes me happy. Very happy. Why? Well, I’ll tell you why. The Chevy Volt doesn't jump out at you and scream, "Look at me! I'm a hybrid!" 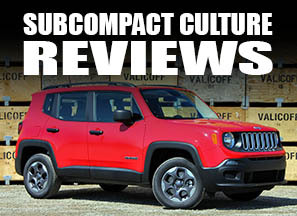 It has interesting body lines, modern touches everywhere, and all the accoutrements you’d want in a vehicle. But it's also not your run-of-the mill car. 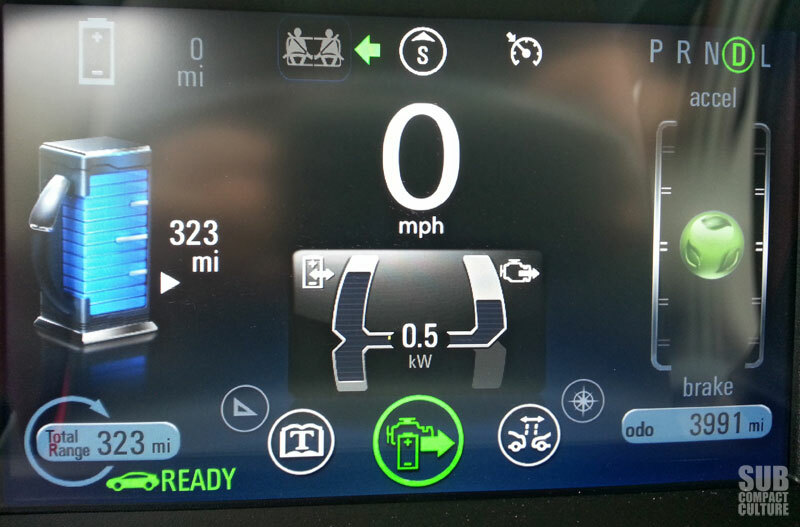 This fully loaded Volt is very different from other vehicles, actually. Even different from other hybrids/EVs. For starters, for the first 38 or so miles (on a full charge), it operates on pure electric juice—a true EV. 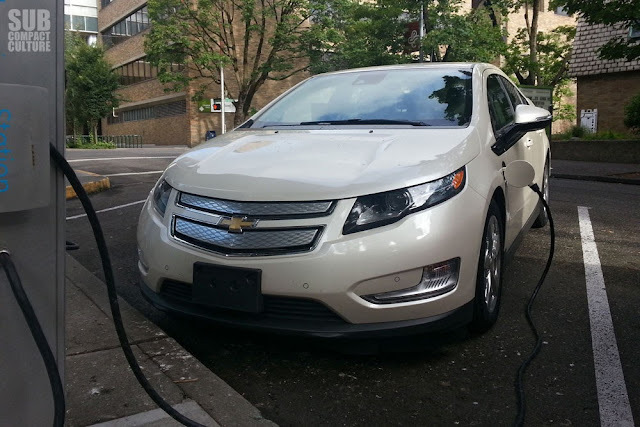 After it depletes the battery charge, the Volt uses a gasoline-powered engine as a generator that sustains the battery charge enough to give the car 382 miles of range. This yields an EPA fuel economy rating of 98 combined MPGe (all electric mode) and 38 MPG combined on gas alone. That is quite impressive. You can use it as an urban dweller, moving around town solely on electricity, or you could jaunt out of town or even drive it across the country, if you so choose. No need to have two vehicles in the house, just one with both options—an around-town EV and long range runner. Talk about a winning combination. By the way, we were easily able to get well over 100 MPGe around town, and a total combined average of about 53 MPG. The Volt has a Voltec electric drive system with a 16-kWh lithium ion battery pack and a 1.4-liter gasoline-powered range extender engine that puts power to the battery pack to run the car, not to the drive wheels. (It should be noted the gas engine will couple with the electric motor on occasion when it’s more efficient to do so.) The compact Volt generates 149 hp with 148 ft/lbs of torque put through a single-speed gearbox. 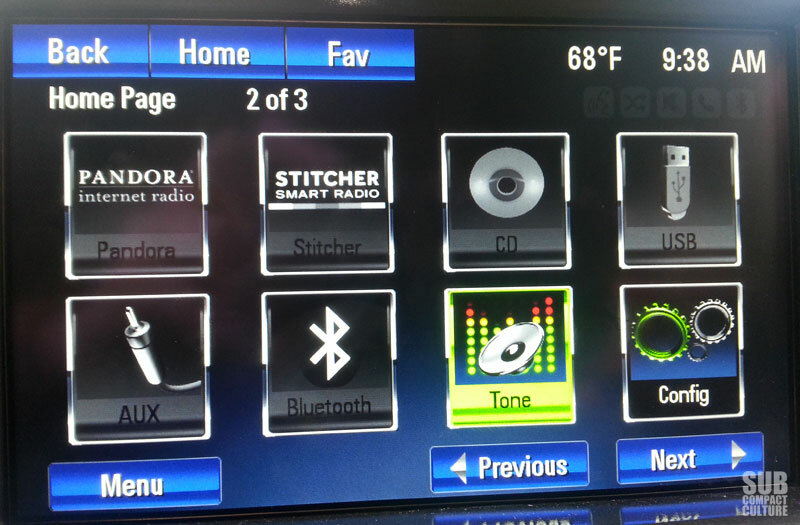 The car has a few different driving modes, too: Normal, Sport, Hold, and Mountain. The Normal mode is for conservative driving and high efficiency mileage. The Sport mode (which I love) recalibrates the throttle, providing an extra punch of power with less pedal movement, allowing for a more enthusiastic driving experience. The Hold mode is unique in that you can conserve the battery for most efficient use. Mountain mode is pretty nifty: If you know you will be in hilly terrain or driving over mountain passes (which we do in Oregon quite frequently), this mode will engage the gas assist in hilly terrain. 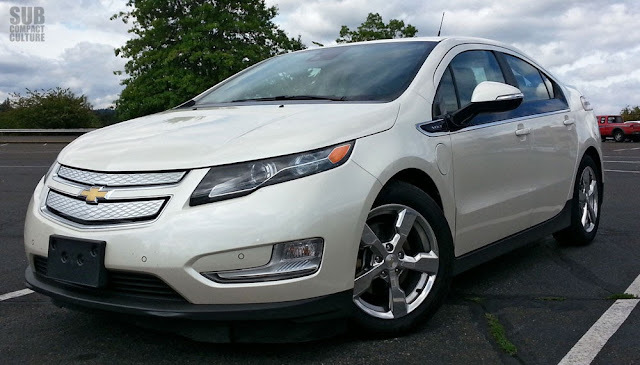 This particular Volt model is wrapped in lush-looking White Diamond Tricoat metal-flaked paint. This color is beautiful in person and eye-catching in direct sunlight. This hybrid has a sleek profile, complimented with chrome exterior accents and 17” aluminum wheels, a low front bumper with air dam, shield-like front grille, a rear hatch spoiler, and a solar-absorbing windshield. This fully loaded test model also had both front and rear park assist. 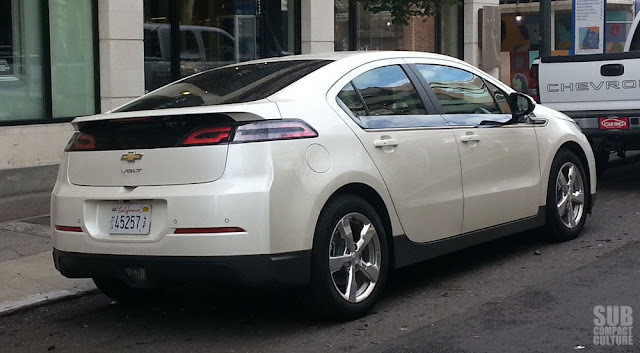 The Volt has a solid, low-slung stance that looks great. Plus, there isn't a ton of wheel gap, which I like. One thing I wish the Volt had was a rear windshield wiper. Dust and dirt accumulated on the rear window on a regular basis, since it is fairly flat. This made it difficult to see out. This five-door, four seater has a plush cabin. I immediately noticed the Pebble Beige interior accents; firm yet comfortable leather-appointed seating; rich, suede-like materials; metal-flake painted center console stack; and the soft-touch dash. Oh, and the Bose embossed door grilles—we will get to that in a bit. The Volt only seats four people, but seats them very comfortably. 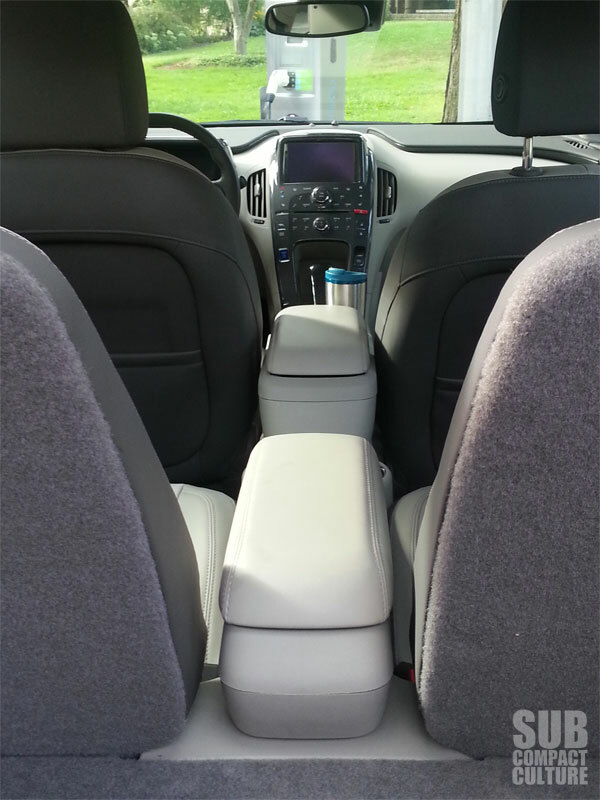 The vehicle’s center console contains front and rear cup holders, storage nooks, and power outlets. Hiding beneath this stack is the car’s battery pack. The rear seats fold 60/40 so you can carry plenty of cargo if need be. One thing to note, however: There is only a cloth cargo cover you can install with the four factory-installed hooks. This poses two problems when you have cargo you would like to hide during transport. 1) There is a large vertical gap in between the rear seats making anything you store or transport in the trunk easily viewable to thieves. 2) The cloth cargo cover is cumbersome to use compared to its rigid cover cousins. Those covers are easy to use with one hand, and very quick to cover and uncover your belongings. I wished the Volt came with such a rigid cover option, as well as a solution to cover up the rear seat peak-a-boo gap. Both the driver’s gauges, as well as the 7” front center stack display, are completely digital. While the high-tech aesthetics of these interfaces are beautiful, there are seemingly millions of options to navigate through. Dozens of options on both screens, a plethora of tiny, integrated touch points (buttons?) melded into the plastic center stack (I wonder if the button icons will wear off over time as they appear to be printed onto the plastic? ), and more buttons on and behind the steering wheel. One also needs to figure out where the PRNDL transmission icons are so you know which gear you are in. That’s a lot to understand before you get rolling around town. While the Chevrolet MyLink has dozens of screens to help you understand the ins and outs of the car—how to get the most mileage with your hybrid, when you are using electric or gas assist power, what channels of music you would like to listen to, what the weather forecast is — there is a steep learning curve with the Volt to get you up and running. One of several screens on the center-mounted LCD display. MyLink is very helpful at keeping Volt occupants plugged in, if they want to be. 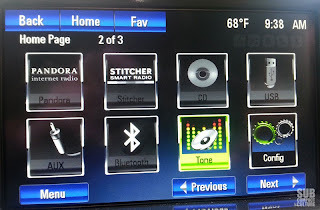 Whether it is via hands-free communications with family, Bluetooth connectivity to sync a smartphone, listening to XM/Pandora/Sticher radio, or customizing Volt with voice commands, this car allows you to be very connected. Speaking of getting connected, turn on the radio and let the six-speaker Bose stereo system envelop you with full and meticulously balanced music. This Bose system is the richest-sounding music system I have heard in a long time. Like the old Calgon commercial says, “Take me away!” this stereo system will take you to your happy place. Oh, and by the way, the PRNDL icons are on the base of the center stack, to the left of the cup holders (next to your right thigh), in case you were curious. The Volt is a smooth, solid, and sleek driving machine. The ultra-quiet EV mode coupled with the immediate response of torque when driving makes me smile. In my opinion, ditch the Normal mode and kick it into Sport mode for more response, and you will have a fun driving experience.Yes, it sacrifices efficiency a bit, but it's worth it. I only wish Sport mode would remain engaged after you turn off the car and start it up again. Instead it defaults to Normal mode. Maybe there is a setting via the MyLink genie that could help me override that. This is the driver's instrument cluster. When the EV mode is depleted and the gas assist takes over, there is a seamless transfer. No clunky transition, no noise heard from the engine, the ride stays stable and isn’t lurchy. Some hybrids, especially those which constantly switch back and forth from gas to electric, do so in a semi-clunky fashion. The display behind the driver’s steering wheel can tell you exactly when you depleted the electric charge, and when it switches to its charge-sustaining mode. This display also gives you a range of how many miles you have left in either mode as well. In the gasoline-assist mode, you have more than 300 miles to travel. 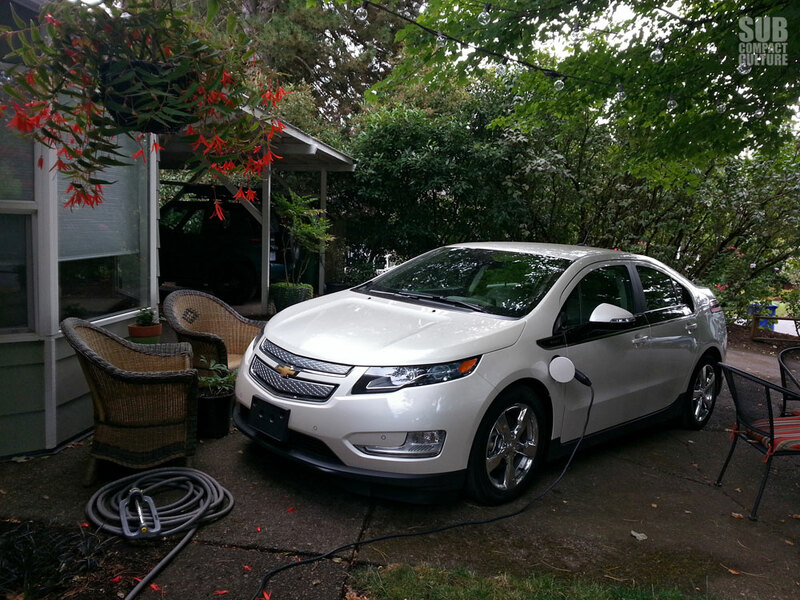 The Volt's charge cord wasn't quite long enough to have it all the way in the driveway. We had to make room for the car on our front patio. This combination of EV frugality and gasoline-powered range is one of my favorite things about this city-slicker. You can use it solely as an EV if your daily commute is 38 miles or under and charge it every night (a full charge will take 10-16 hours on standard household current; around four hours on 240V), never using a drop of gasoline. Want or need to drive more than 38 miles? No problem. The gasoline generator will kick in and provide power to the electric motor for 300+ miles. This just makes sense. EV around town, gas generator for long trips. While the engine/motor experience is outstanding and seamless, the braking isn't as wonderful. The brake feel is slightly mushy and unsure; it feels like you are squishing an orange under your pedal. This is a common trait among hybrids and EVs, and the Volt is, unfortunately, no exception. The 2013 Chevy Volt was named an IIHS Top Safety Pick. 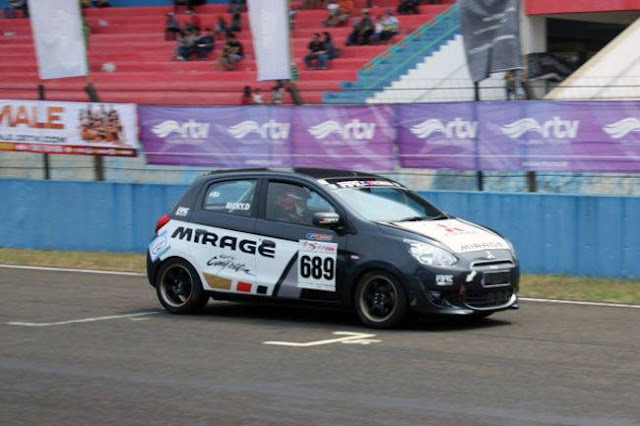 It received five stars in every category except the passenger side frontal crash, in which it still got four stars. With eight airbags, a collapsible pedal system, available forward collision warning and lane departure warning systems, the Volt also has available front and rear park assist and rear-vision camera (all of which our test model had). One item to note, when using the rear camera, the screen is dark and hard to see. It also lacks the colored safety guidelines to help you park. (Many other vehicles show a green, yellow, and red area on the screen to help you determine how close you are to the object behind you.) 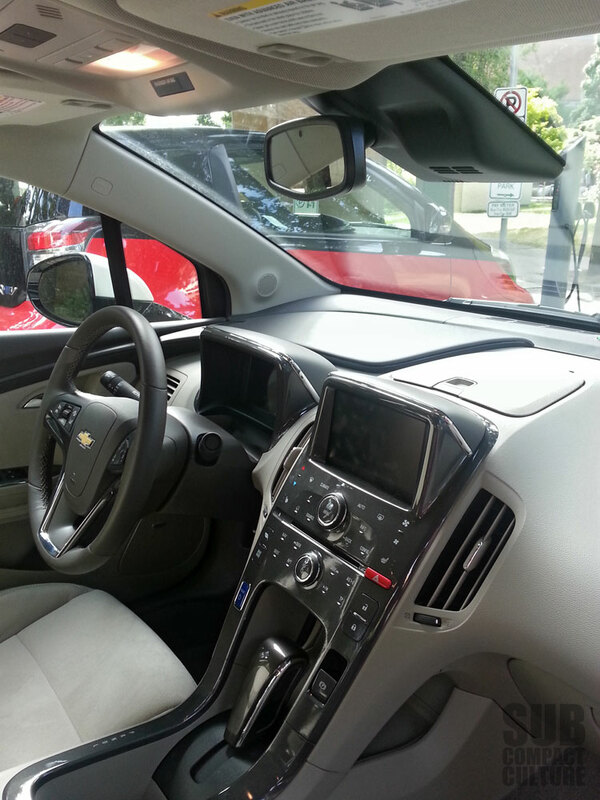 The Volt does, however, have audible sounds to let you know when you are too close to something as you back up. That doesn’t help if you are listening to your Bose stereo system loudly though. The MSRP on this particular fully-loaded 2013 Volt is $45,540 (this includes $5,545 in optional upgrades and $850 in destination charge). The standard vehicle price starts at $39,145—pretty steep even for a top-trim-level Volt. However, Chevy recently announced a $5,000 price drop for their 2014 model year. The ’14 models will start at $34,995, including an $810 destination fee. While this excludes tax, title, license, and dealer fees, this does not include available federal tax credits of up to $7,500, depending where you live. That could make a 2014 Volt start at just $27,495. And that, folks, is another reason this car makes me happy; very happy. If I had the room, and extra money, I would consider buying the Chevy Volt, even if I am a die-hard manual transmission driver who has owned nothing but small import vehicles. Once we lived with the Volt for a week, we got it. It’s an electric commuter with the ability to drive across the country. And to me, that makes good sense.